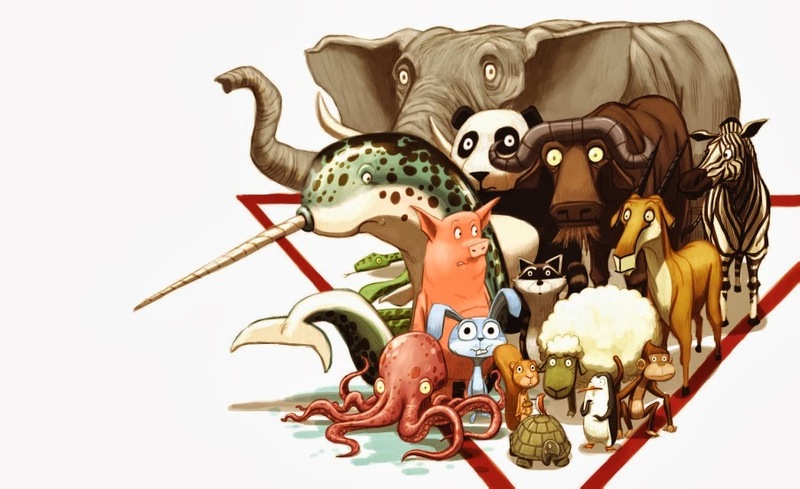 ...it's lonely at the top of the food chain. It's difficult to fit in when plant eaters can be so cruel—just because you ate a relative of theirs that one time! What's a carnivore to do? Aaron Reynolds's roaringly funny text is perfectly paired with Dan Santat's mouthwatering illustrations, creating a toothsome book that's sure to stand out from the herd. So, here's my favourite picture book of the year. It is more than a little bit wicked, but then, they are my favourite kind of books. 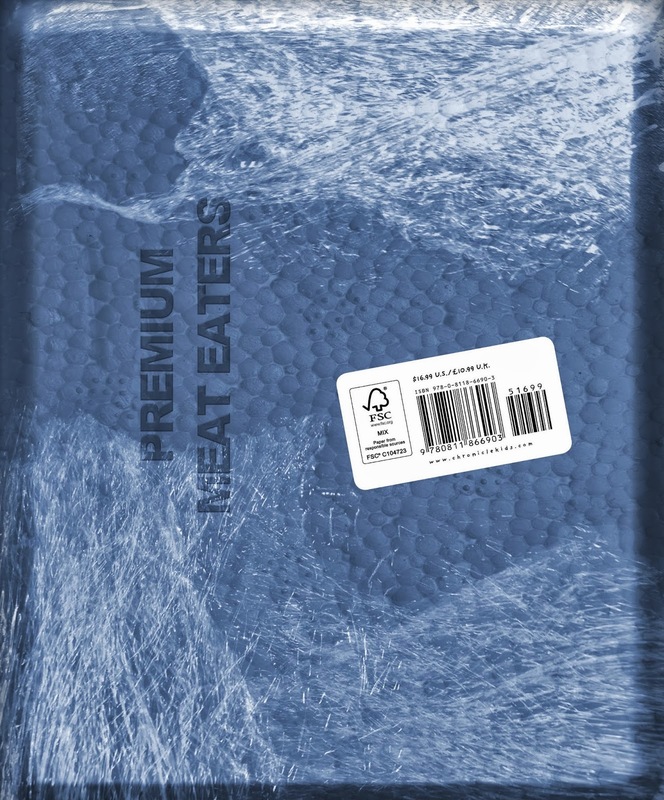 The humour starts right with the cover, it might not be clear at first glance, but it becomes clearer when you see the back of the book...the animals are packed like meat! 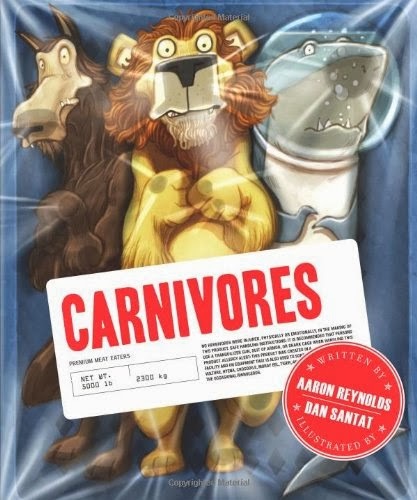 Reminisent of the 'vegetarian sharks' in the animated movie Finding Nemo, the lion, wolf and shark in this picture book are suffering from a bit of guilt. The trio love meat, but are starting to feel guilty, so they form a support group, and try to forgo their meat eating ways. So, it's not going to be everyone's cup of tea, but I dare anyone with a sense of humour not to laugh out loud at some point when reading this one.